Opened in 1911, Casa Del Desierto (www.barstowharveyhouse.com) was considered the crown jewel of the infamous Harvey House chain. 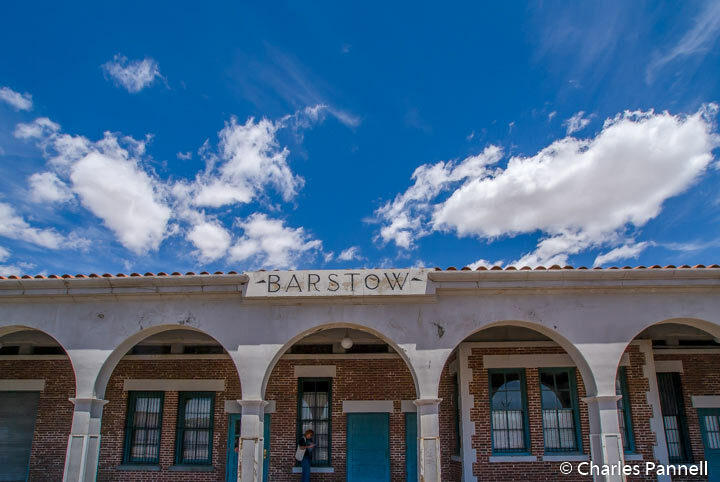 This Barstow icon provided elegant meals and comfortable overnight accommodations for passengers of the Atchison Topeka and Santa Fe Railway; and also housed an elegant ballroom for dances and other social events. Sadly as meals became available on the trains, the need for Harvey Houses declined, and they were subsequently shut down in the mid-1900s. Many were destroyed over the years, but Casa Del Desierto was renovated and reopened in 1999. Today this stately structure not only offers visitors a glimpse into the past, but it also houses two excellent transportation museums. Located at the eastern end of Casa Del Desierto, the excellent Western America Railroad Museum (www.barstowrailmuseum.org) is a must-see for railroad buffs. 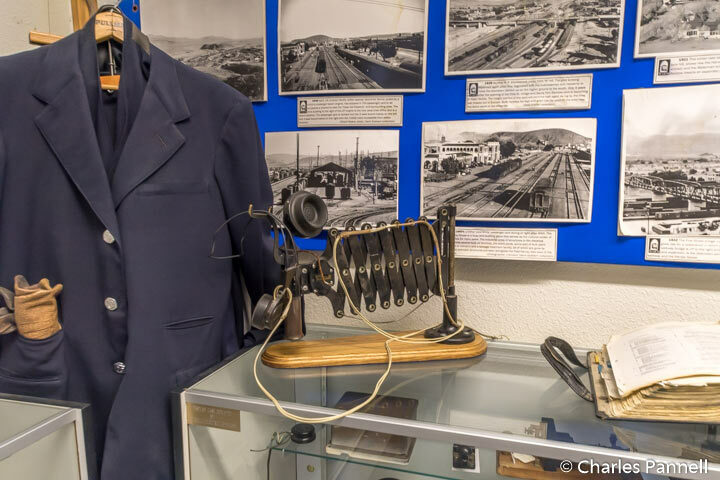 The museum’s collection is comprehensive — some claim it borders on eclectic — while a cadre of enthusiastic volunteers eagerly await the opportunity to share their collective railroad knowledge with visitors. Access is excellent at the museum too, with accessible parking in the adjacent lot and level access to the front door. Inside there’s plenty of room to maneuver a wheelchair through the galleries which are filled to the brim with railroad memorabilia. Exhibits include everything from railroad tools and machines, to vintage schedules, uniforms, dinnerware and signs. And then there’s the model railroad. Don’t miss the extensive Gustafson collection of railroad date nails. These nails were stamped with the date, then hammered into the rails for maintenance record purposes. Railroad crews ceased using the nails in 1969, and today computers keep track of the maintenance records. This extensive collection includes nails from all 50 states, and dates back to the late 1800s. It’s an interesting slice of railroad history. There’s also a nice collection of rolling stock out in the yard, with level access around the cars. Highlights include an Atchison, Topeka and Santa Fe caboose and diesel engine, a 1968 Cline wheel truck, and a Union Pacific caboose. There’s also a large Atchison, Topeka and Santa Fe horse car, that was used to transport race horses and their owners across the country. And although the cars themselves do not offer wheelchair access, most of them are better admired from afar. The equally impressive Barstow Route 66 Mother Road Museum (www.route66museum.org) is located right next door. And although rail and automobile travel may seem an unlikely mix, many cross-country highways paralleled the rail lines; in fact, the original alignment of Route 66 ran right next to Casa Del Desierto. Known as the Mother Road, Route 66 got its official numerical designation in 1926. The 2,448-mile route ran from Chicago to Los Angeles, and was comprised of existing roads in the eight states it traversed. Dust Bowl immigrants headed west on the road in the 1930s, and as the trucking industry grew, so did the traffic on this popular roadway. After WWII, people flocked to Route 66 to “get their kicks” and enjoy kitschy roadside attractions, diners, auto courts and motels along the way. Unfortunately the popularity of the Mother Road led to its ultimate demise, as the narrow lanes and outdated features were unable to handle the increased capacity. By 1970, nearly all segments of this once popular road were bypassed by a more modern four-lane highway. 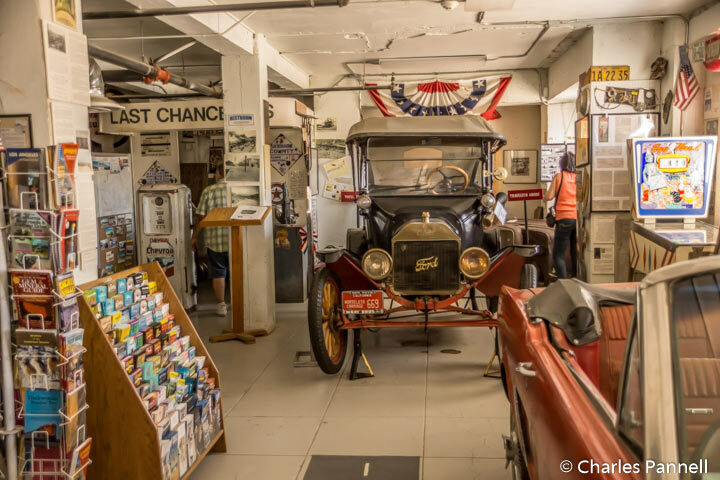 But Route 66 history lives on in this nostalgic Barstow museum. There’s level access to the building, and room enough to maneuver a wheelchair around most of the exhibits inside. 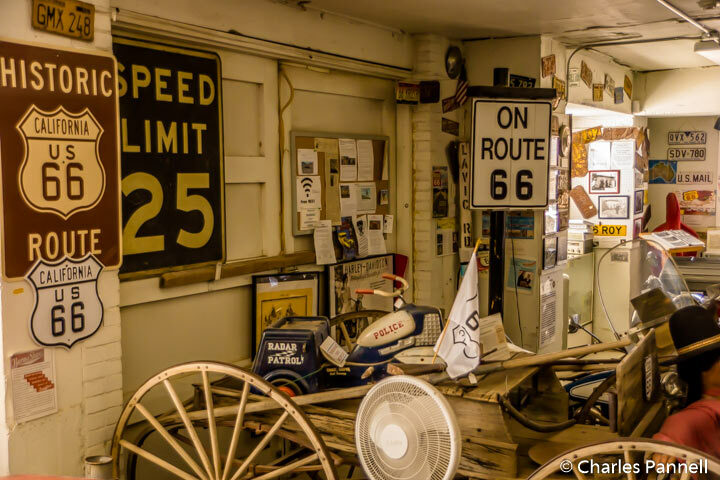 From old photos, gas pumps, road signs and even a few cars you would see along the Mother Road, this fun museum is jam packed with Route 66 memorabilia. And if you’d like to take a slice of nostalgia home with you, there’s also a small gift shop. It’s really a great stop, especially if you plan to explore the remaining stretches of Route 66 in your onward travels. And the good news, there’s no admission charge to either of these Barstow museums. A little advance planning is necessary though, as they are volunteer-staffed and only open from Friday through Sunday. So plan accordingly, so you can enjoy them on your next Southern California road trip.